While the phrase “Ballet Hero Fantasy featuring Steven McRae” may conjure up images of a red-haired Byronic smoulderer in tights, sweeping you off your feet, and down into a fish dive, as his lips brush sensuously against… ok, ok, enough. It’s not that type of fantasy. We’re talking manga. And no, grandad, that’s not a fruit; it’s a Japanese cartoon. Gramilano reported on the Japanese version when it first appeared in 2013, the year after manga-artist Takafumi Adachi met Royal Ballet Principal Steven McRae. I asked him why he thought ballet would be a good subject for a manga adventure. 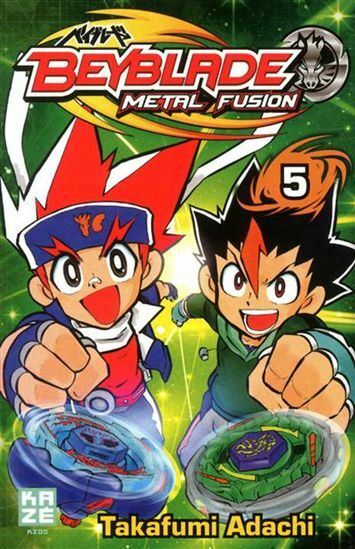 Two to three years before I met Steven McRae, I was looking for new stimuli after the incredible success of Beyblade. Under the phenomenally successful Beyblade franchise — with spin-off merchandising selling more than 200 million items, and anime versions sold internationally — Adachi created Beyblade: Metal Fusion which won him renown and many fans. Searching for new ways to express myself, I went to see many ballets and operas. Ballet is pure entertainment. Ballet is a story, art and true fantasy. So my draft planner, Ouchi, and I thought that a ballet story should harmonise well with fantasy manga. Almost all the stories use the real-life drama of a dancer, and are told from the dancer’s perspective. There are many excellent ballet dancers out there, and many of them Japanese, so why Steven? 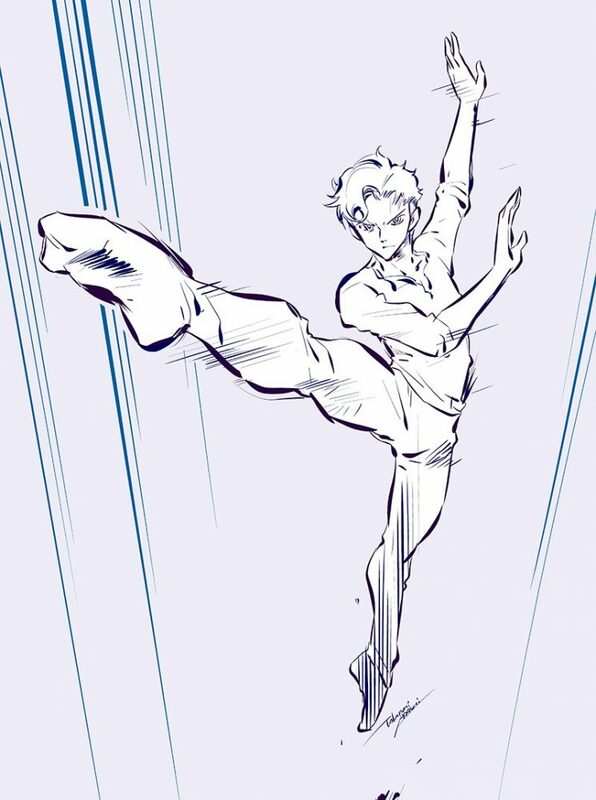 Steven is a dancer who can do incredible moves in the real world like we wanted to create in our fantasy world. His genius combines this with great musicality. We believed that we could make something new with him, and so we approached him. McRae was keen from the start. I met Takafumi Adachi after a performance in Japan. He knew I had a love of manga and animation. I shared my visions of using dance to help inspire the next generation through an adventurous and action-packed cartoon series, and we began talking about developing the idea. The manga was originally an insert in the Japanese Dancin’ Magazine. Although manga subjects are vast, passing from doe-eyed princesses to Science-Fiction warriors, boy dancers suddenly found that they had a manga dedicated to them. All the ballet boys were very pleased with my manga, and there was a very encouraging reaction from adult ballet fans who appreciated our work too. So much so, that it is now available in English as a Kindle download. says Steven. I asked him if he contributes to the storylines. I help with supplying the visual inspiration by sending photographs and videos so that Takafumi can replicate certain moves within the stories. 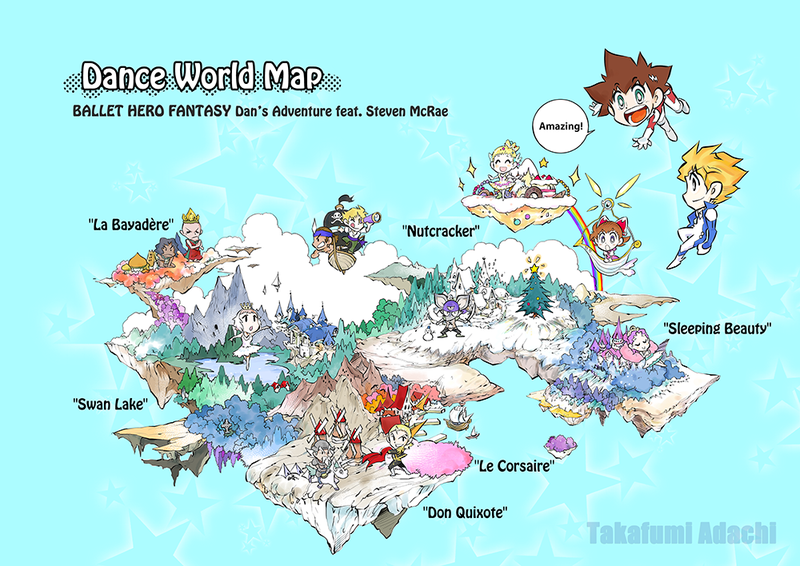 The stories are developed by Takafumi. Why is Takafumi Adachi devoting so much time on a niche area of the manga market? I believe that we can nurture and increase the audience for ballet with this new approach, told from the dancer’s point-of-view and through this medium. My manga will tell many people that the ballet is exciting, fun, and great entertainment. It is a boys’ adventure story, though at its core is ballet itself. It is a story that comes from a heart that loves ballet. I have been contacted by many young dancers who love the stories. I hope it continues to branch out and show people a different side of dance. The first episode — Act1: Nutcracker World — is out now [ Amazon.co.uk – Amazon.com ] and further episodes will appear later this year. You can follow Takafumi Adachi and Steven McRae on Twitter.